Chris has been mine and my son's favorite artist. I love the music on this CD. I play it everyday. I will be ordering more. Waiting for the next album. Awesome music. From a room vol 1 &amp; 2. Having only just discovered Chris, (trolling country music on Amazon), I was delighted to come across Chris. It is just my kind of country! I can honestly say that there is not a single track on either cd that I did not like. Ok, some better than others, but all are very "listenable". A pretty,damn good mix of country rock, blues, and dare I say it, folk? A great listen for the car, and chilling at home in the summer! I intend to purchase every cd he has out!!! These days that's how you can tell if the music speaks to you!!! just saw Chris in Mansfield mass for the first time, in 95 degree heat. he didn't let it bother him. Had his Traveler CD for a while. His voice and that CD will be timeless. awesome music. My son who has a speech disorder absolutely loves Chris Stapleton and loves to sing his songs it’s awesome to hear his voice when my child who is 7 years old sing to his songs his voice comes out and the speech problem goes away. I took him to see Chris Stapleton at hillbilly days in Pikeville Ky. One of the best shows I have seen. His CD is awesome...he speaks from the bottom of his heart.. 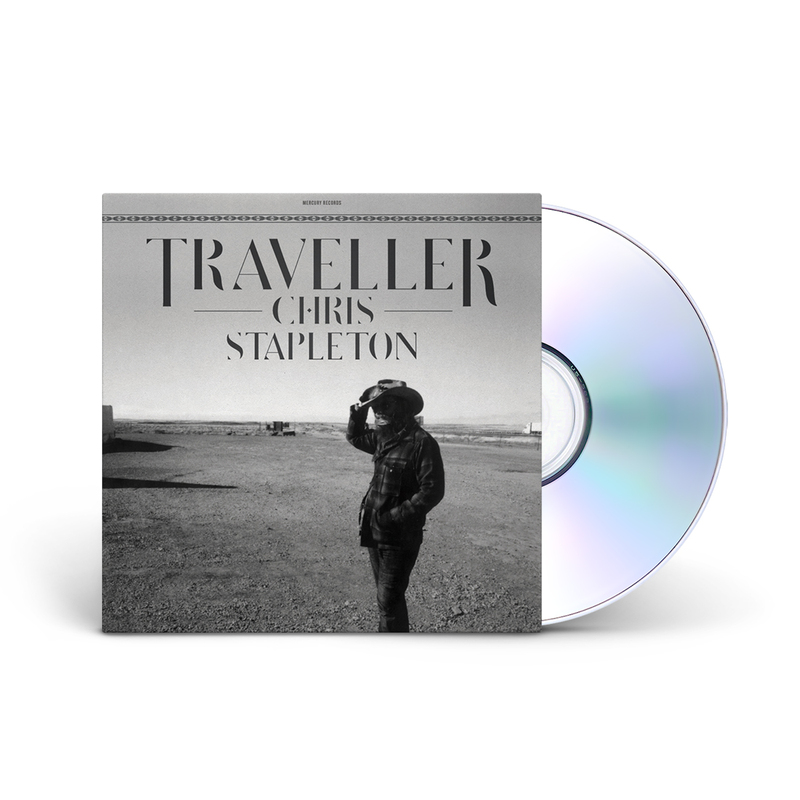 I don't purchase CD's very often, but while listening to Chris Stapleton's music and learning more about him on line, I wanted to show the respect he deserves by purchasing his music. The passion that he expresses through his music is a rare thing these days, we need artist that come from their hearts and help make life worth living. Thank you! Chris Stapleton has a God given talent I havent heard in years. Bought every cd he's put out . Chris's voice is quite unique and one of my very favorite artists of all time. Harmony is my very favorite style of music and his female singer is quite good herself. Koodo's to her as well. I unfortunately have one complaint. The first cd that I received was cracked and could not be played at all. Had to send it back for a replacement. Might want to try and make the cd cover a little more crack resistant in the future. But all in all, it's been a pleasure listening to Chris Stapleton, without a doubt. Thank you! I really like Chris Stapletons music to pay that much for his CD would have thought it would have been in better packageing along with words to the songs that is why I was disapointed. I had given up on today's country music,thinking that I just don't relate to it(43 years old).Chris Stapleton's music gives me hope that country music that feeds the soul,is still here.I can close my eyes and sing,sounds and feels like country gold.Thanks Chris! People will be singing this 50 years from now.